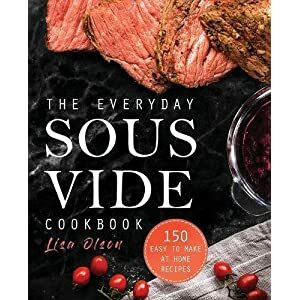 Tags: cookbook, cookbooks, cooking for beginners, recipes, sous vide, sous vide cookbook, sous vide cookbook recipes, sous vide cookbooks, sous vide cooking, sous vide recipe, sous vide recipes. 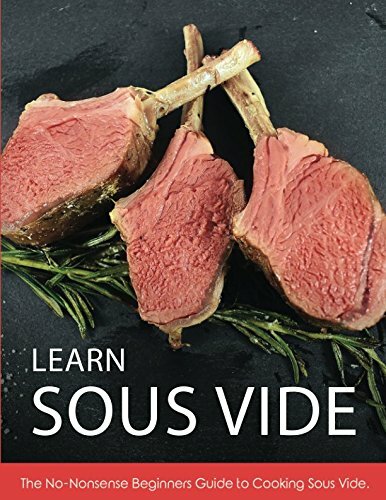 Are you looking to get started with sous vide cooking, but find the whole process confusing? Learn Sous Vide: The No-Nonsense Beginners Guide to Cooking Sous Vide was written just for you. 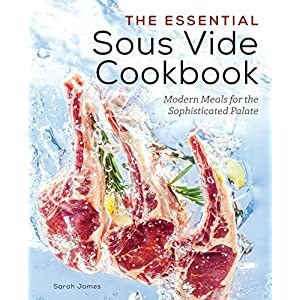 This sous vide cookbook is in FULL COLOR! 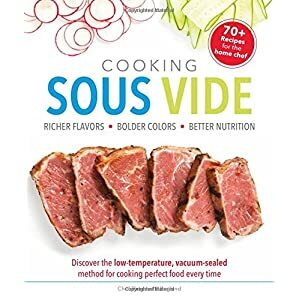 Enjoy sous vide high-resolution colored photos! but if you’ve never done it before it’s easy to get overwhelmed when starting out. It teaches you everything you need to know from getting the right sous vide machine to the right water container. 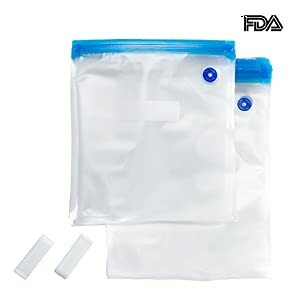 It also covers the vacuum sealing and bagging process which many other books skip over. 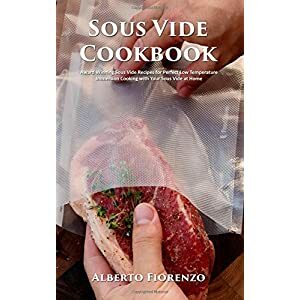 Why this sous vide book? 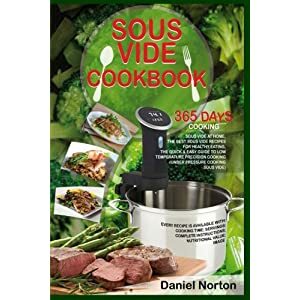 This book is ideal for beginners because just a few years ago, author Derek Gaughan was in your shoes – a complete newbie to sous vide and no real cooking experience. 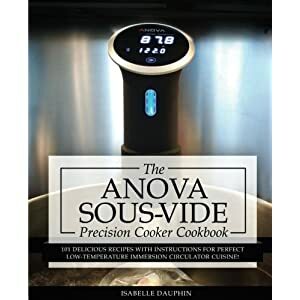 Today, Derek has been a featured Anova Food Nerd and his passion for sous vide has been written about in The Washington Post. He still remembers what it was like starting out and is able to share his expertise in the most simplified and helpful manner, so you can start cooking sooner. 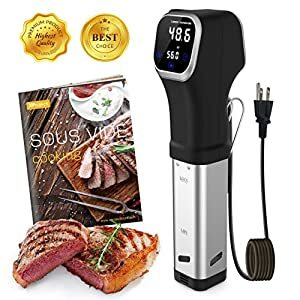 Sous vide machines, water baths, vacuum sealers (do you need one? 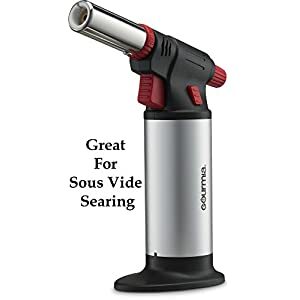 ), sous vide bags, and even sous vide torches! From there you’ll learn how to prepare and cook your food, including what temperatures and times are appropriate for different meats. searing your food is often the critical final step to a sous vide cook that turns an great tasting meal to an unforgettable one. 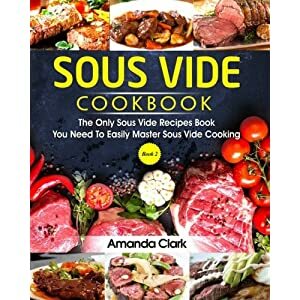 In the final section of the book, Derek shares his favorite sous vide recipes that all beginners should learn and master. These recipes form the building blocks of sous vide cooking that will allow you to expand into more elaborate meals as you gain experience. 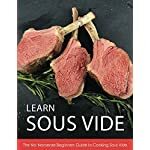 If you’re ready to start your journey to excellent sous vide meals, look no further – Learn Sous Vide: The No-Nonsense Beginners Guide to Cooking Sous Vide will get you cooking fast and simple!